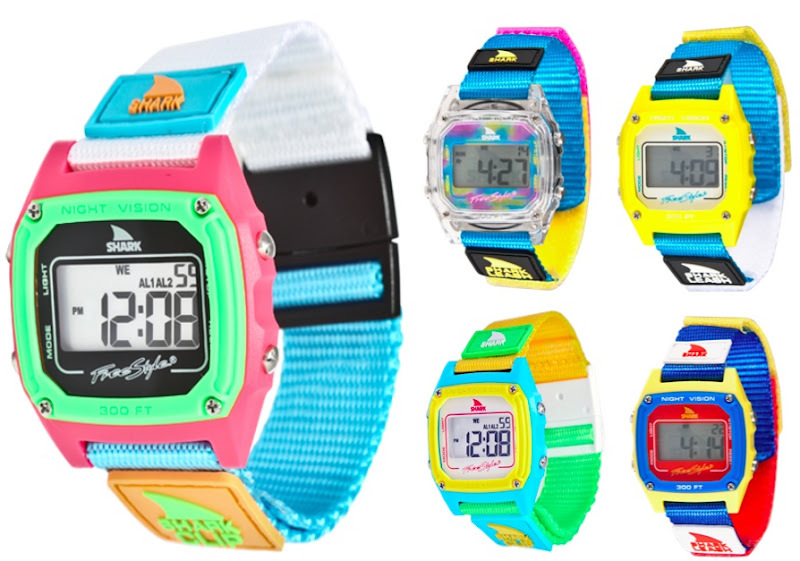 In this era of sweeping reissues, I don't think there has been a comeback that has brought me more nostalgic joy than the Freestyle Shark Watch ($55). In the late 80s and early 90s Shark Watches were the ultimate surf rat accessory, now they're back with the original velcro bands (shark leashes!) and styles. They're still water resistant up to 100 meters, backed by a lifetime warranty, and totally radical. Oh my gosh. I love these!!! Thanks for sharing. #needonerightnow! I had one of these! I was so attached to it, and pretty proud of my little nine year-old watch tan line. Haha.